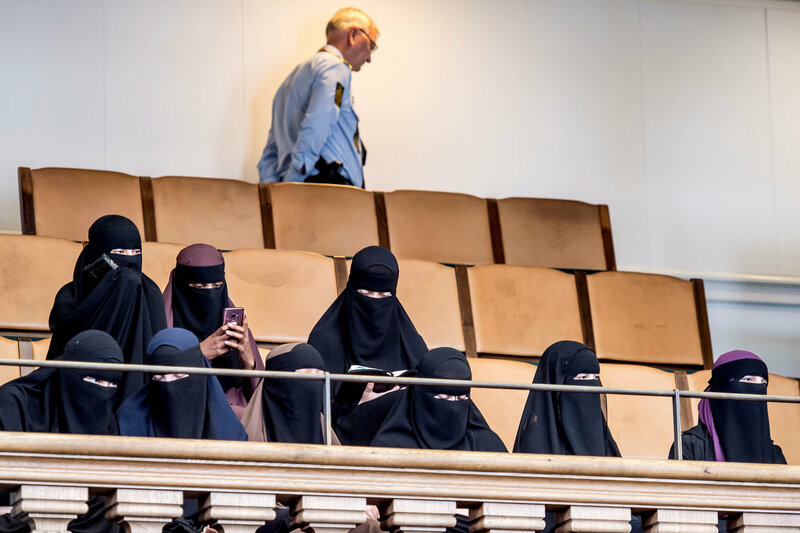 Justice minister Pape Poulsen described keeping one's face hidden in public as incompatible with the values ​​of Danish society, and said that the officers would in practice fine the women wearing face veil and tell them "to go home". Copenhagen: Denmark has banned the wearing of face veils in public, joining France and other European countries in outlawing the burqa and the niqab worn by some Muslim women to uphold what some politicians say are secular and democratic values. Parliament voted on Thursday for the ban proposed by the centre-right government, which says veils are contrary to Danish values. Opponents say the ban, which will take effect on August 1, infringes women’s right to dress as they choose. Under the law, police can instruct women to remove their veils or order them to leave public areas. Justice minister Soren Pape Poulsen has said that officers would in practice fine them and tell them “to go home”. Fines would range from 1,000 Danish crowns ($160) for a first offence to 10,000 crowns for a fourth violation. The anti-immigrant Danish People’s Party became the second-largest party in an election that year and now supports the coalition government in parliament. “But I won’t take my niqab off so I have to find another solution,” the 20-year-old added. Pape Poulsen, who leads the conservative party in the coalition, has described keeping one’s face hidden in public as “incompatible with the values ​​of Danish society or respect for the community”. Ibn Hssain rejected suggestions that wearing the veil symbolised the rejection of Danish values or oppression of women. “It has nothing to do with integration or that we’re oppressed. For me it is a war on Islam,” she said. Human rights group Amnesty International called the ban “a discriminatory violation of women’s rights … All women should be free to dress as they please and to wear clothing that expresses their identity or beliefs”. Ibn Hssain, who says she has been yelled at and spat at in public for wearing the niqab, will stay for now in Denmark despite the ban. “If I leave Denmark the politicians win. I feel what they deep down want is for Muslims to leave Denmark,” she said.